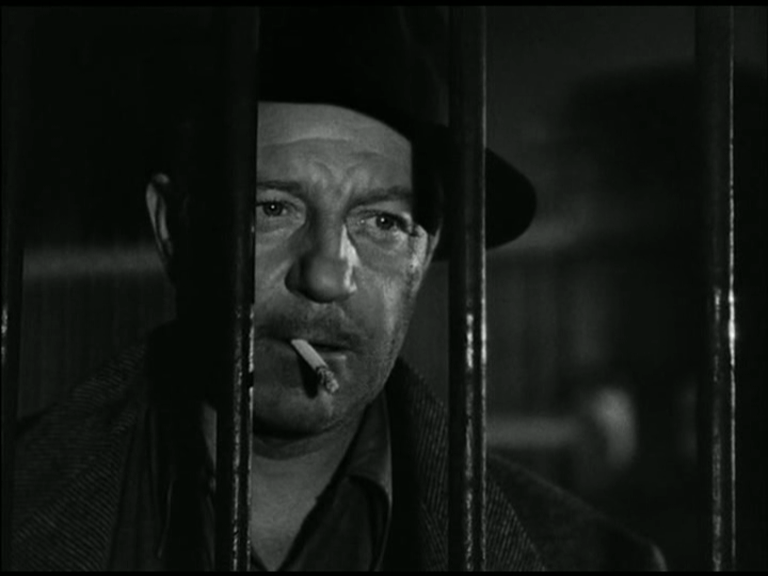 Over at the Auteurs’ Notebook, you can find both a new Forgotten, featuring yet more Duvivier-based fun, and the third and, for now, final installment in my Thugs with Ugly Mugs series. 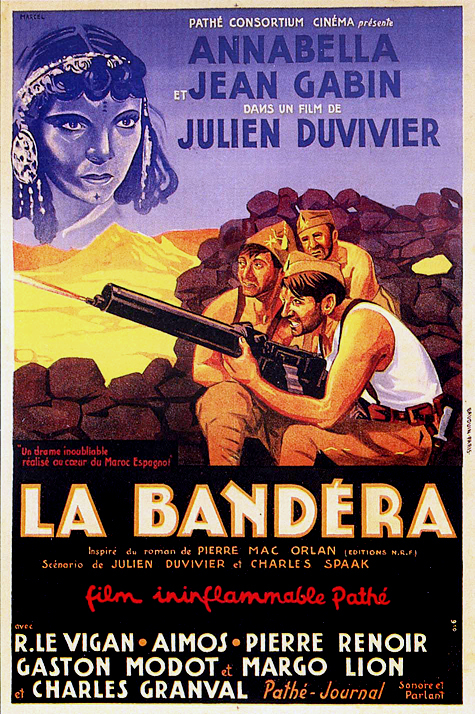 The opening scene of Duvivier’s LA BANDERA, in which crime passionelletype Jean Gabin flees Paris and joins the foreign legion. It’s not my fave Duviv, by any means, but that’s a fine, moody opening. First, the slinky move across the rooftops, which looks like multiplane animation a la PINOCCHIO, with a weird transition once it comes to a halt, shifting us into live action. Polanski fans could compare it with the move from animated credits to live action at the start of THE FEARLESS VAMPIRE KILLERS. 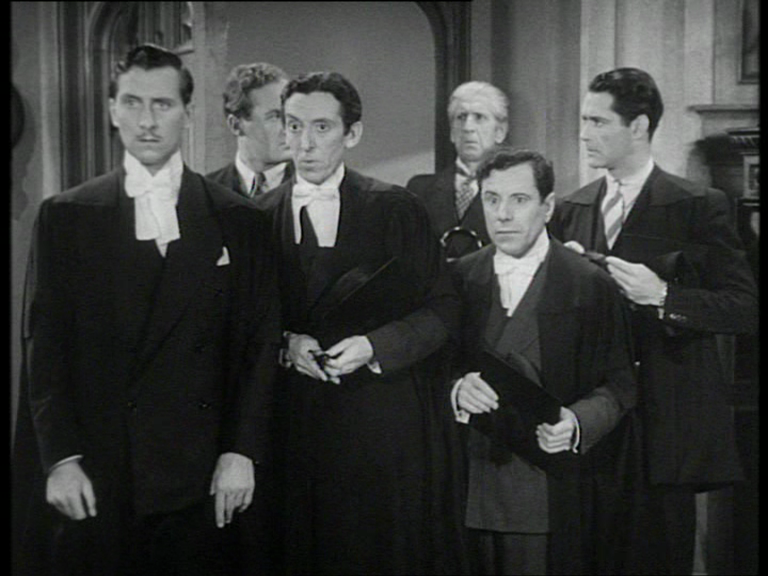 It illustrates a key point about Duvivier’s generation, who wanted to address social issues and were generally a bit more excited by the underclass than the upper crust (though Duvivier, no left-winger, made films about both). The whole poetic realist school is deeply interested in seedy environments that breed or harbour crime, but they’re paradoxically studio-bound. These guys didn’t want any faux-documetary rough edges, and most of them were probably horrified by that jazzy nouvelle vague roughness when it came along. 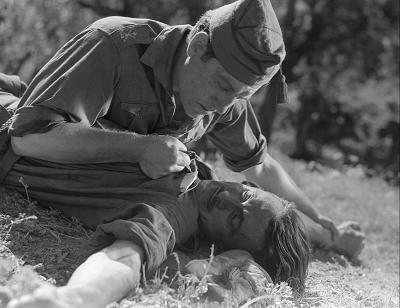 Marcel Carné started off wanting to bring the camera onto the streets, but soon found satisfaction in recreating the streets — exactly — in the studio. 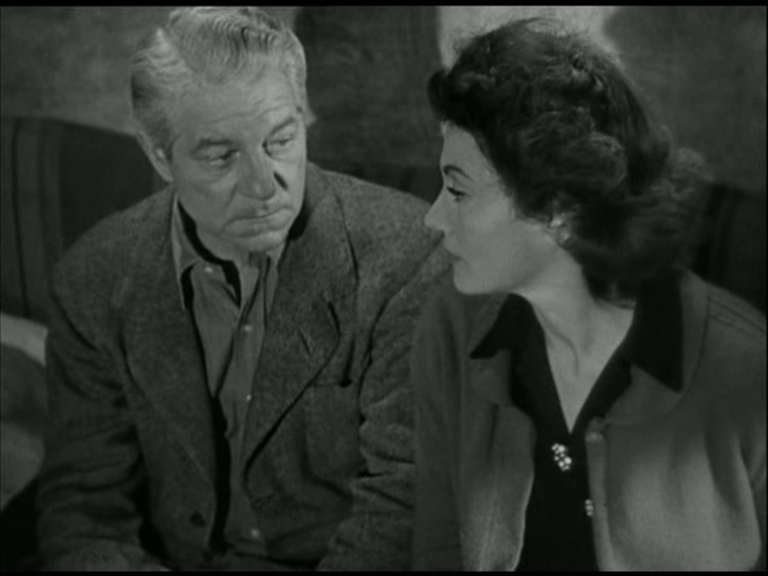 The boxy interior sound of the couple’s steps testify to the fact that none of this is quite authentic, but the mix of genre thrills — we’re way ahead of film noir here, which has yet to be invented and named, but that’s what this is nonetheless — and social realism is exciting as hell to me. 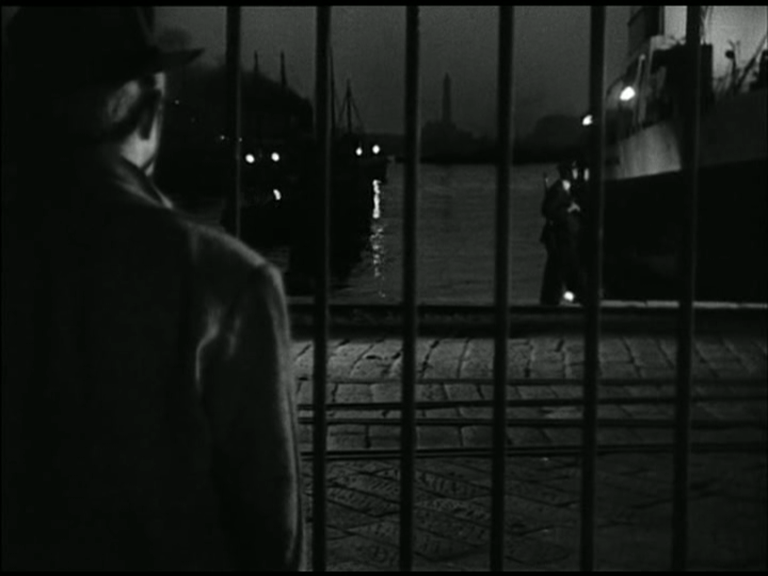 That tilt at the end of the night scene is a particularly strong piece of DIRECTION, in the literal sense of directing the audience’s gaze towards something. It’s such an authored move, it sticks out, particularly to a modern sensibility — one rarely gets such a bold intervention in film narration these days. 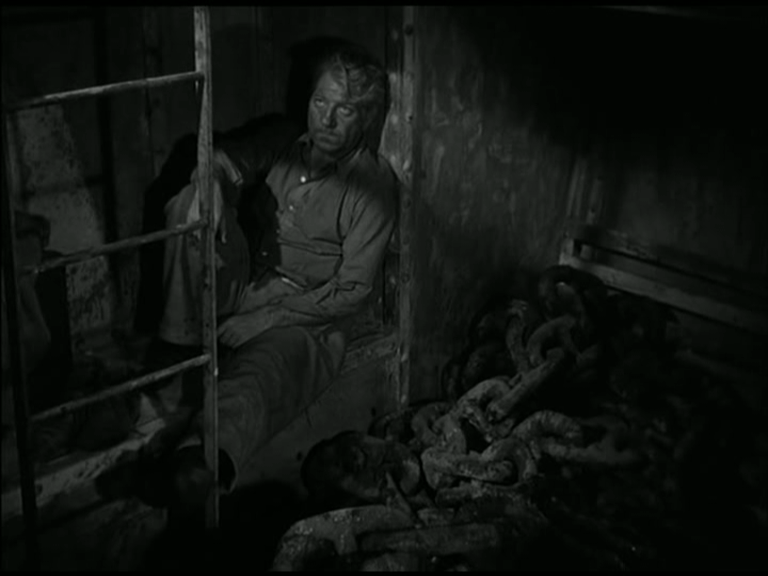 So Duvivier isn’t at all afraid to show his hand, though having the kind of craftsmanlike attitude he had, he’d probably deny ever moving the camera in such a blatant way. The move is particularly strong since we don’t know why we’re moving, and even when we arrive at the street sign, its significance isn’t really clear until we dissolve to the next scene.